A few weeks ago The Husband treated me to a Sunday packed full of food and drink. As part of my birthday celebrations, Ian planned a whole day of fun in the city centre; of course this mainly involved eating and booze. We had such a good time that I thought I’d share some of the highlights for those of you looking for Sunday inspiration that doesn’t involve roast dinners or sitting in your pants eating cake. I don’t belittle the latter by the way (been known to do that myself) but below you’ll find five fun ways to make the most of your final day of the weekend. What better way to kick of a day of fun than with bottomless brunch and a classic movie? 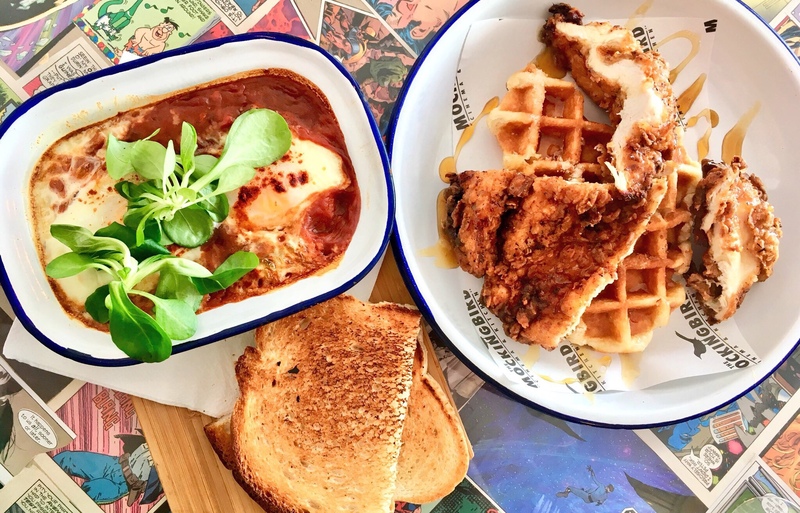 At Mockingbird Cinema and Kitchen, found in the main courtyard at The Custard Factory, you’ll find regular boozy brunches for under £30; the ticket price includes a two course meal, unlimited fizz and beer, and the film screening. It’s a fun way to spend your late morning, and the staff make sure your glass is always full. You can read more about our bottomless brunch and Withnail & I screening here. There’s actually a decent amount of beer gardens and sun traps in the city centre, you just have to know where to look. 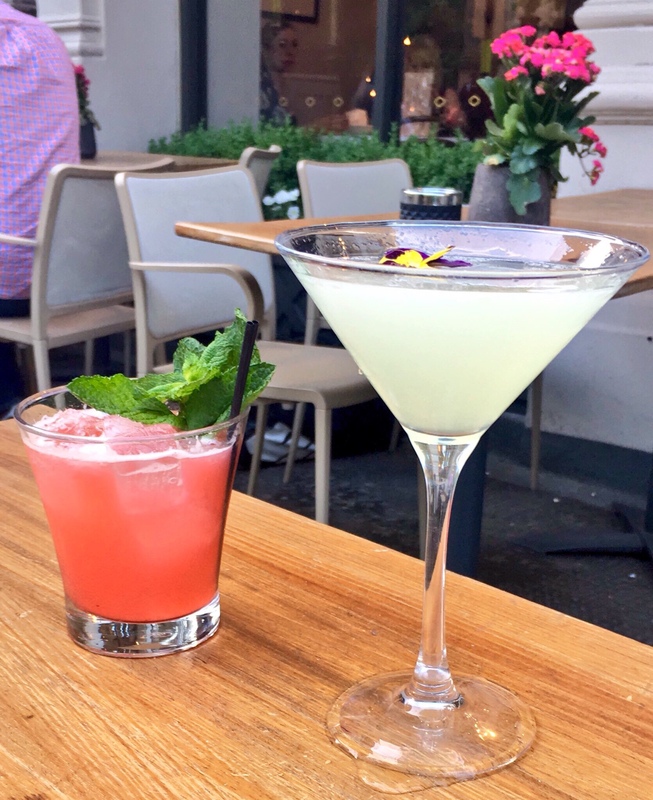 If you fancy a few hours in the sunshine with some well made cocktails give Gusto on Colmore Row a shot. It has a large park-facing terrace overlooking the cathedral and offers 2-4-1 mix and match on seasonal cocktails on Sunday afternoons. I loved the Elderflower and Cucumber Martini. 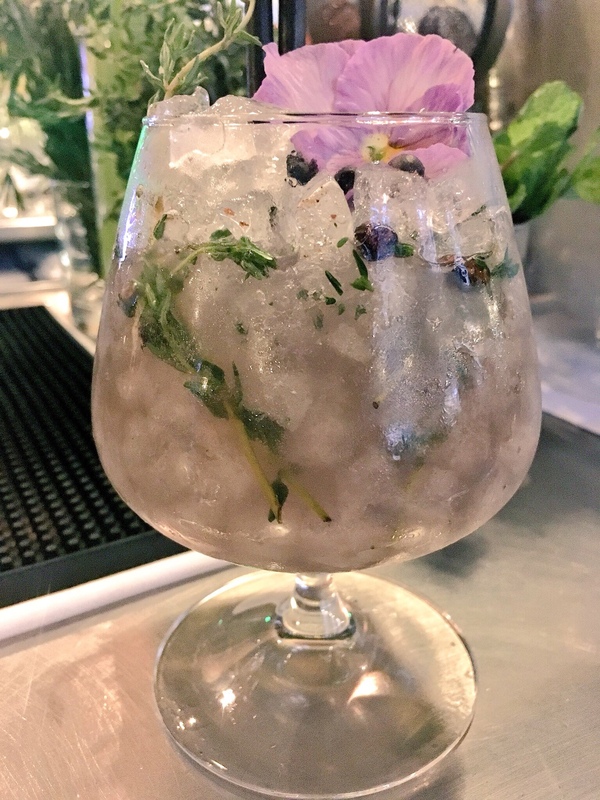 As well as a spot for drinks, this restaurant is ideal for breakfast; you can read about my Gusto brunch experience here. If you’re more of a vampire and would rather be inside than outside, grab a table at BoneHead on John Bright Street. The two story venue has a small bar downstairs and a restaurant upstairs smashing out some seriously good fried chicken. I like the hip hop tunes that form the soundtrack to your meal; you can read all about my first bite of this new restaurant and bar here. 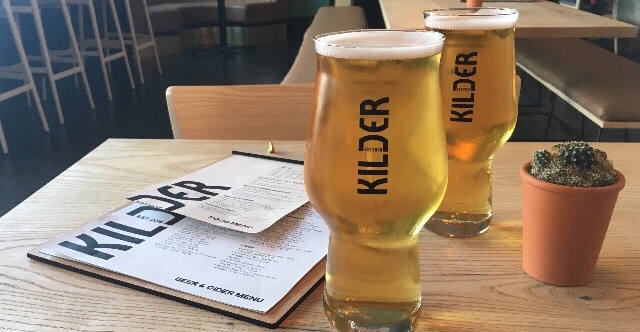 One of the newest openings in the city centre, Kilder is the latest brainchild of the lovely chaps behind Original Patty Men. 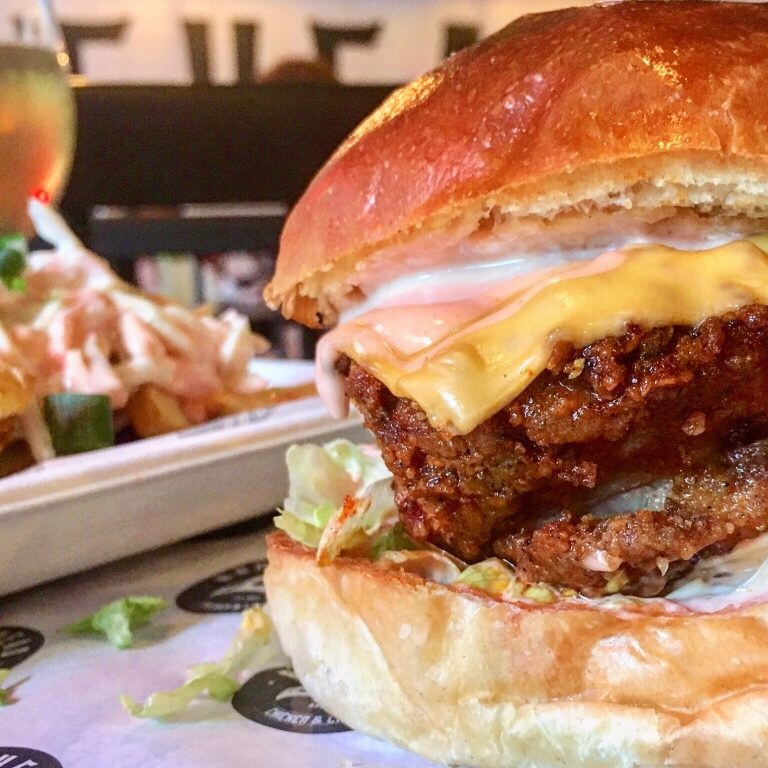 Built into the railway arch right next to the (mega popular) burger joint, this bar has a fantastic selection of craft beers and plenty of fancy bar food, including posh toasties and cured meats. If you’re planning a visit to OPM generally (don’t forget Wing Wednesdays) make sure you also drop in and give this gorgeous bar some love. As day turns to night you may be looking for something a bit more romantic; step forward Hotel du Vin. I’ve raved about this place a lot on this blog, and I don’t apologise for giving the place another shout out. Both the bar and restaurant offer great service, and if you fancy an extra treat on Sundays it offers a mega deal on rooms if you eat in the bistro. You can read more about the restaurant in my last post about the hotel here. Do you have a favourite Sunday spot? Let me know in the comments. Disclosure: we paid for all of the food and drink in this post. All photos and words belong to me, and I have no affiliation with any of the five venues mentioned in this post.